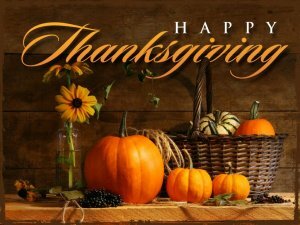 Happy Thanksgiving to each of you and your families. I hope you enjoy the long weekend with your families and/or friends. We all have things to be thankful for.